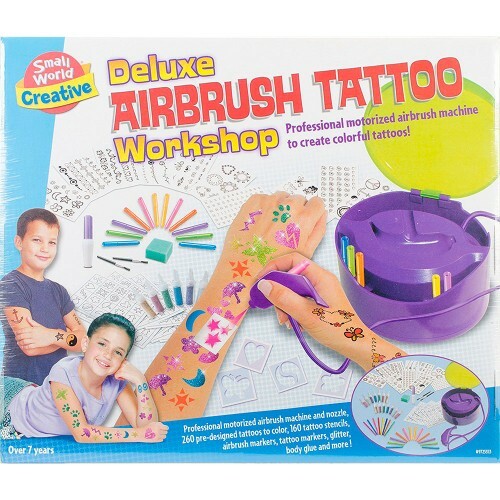 With the Deluxe Airbrush Tattoo Workshop kids can create over 400 cool, colorful, glittering tattoos that look professionally done and are washable. 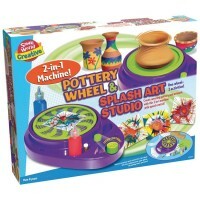 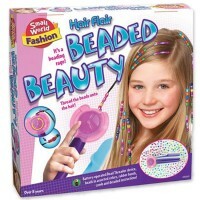 Kids can create hundreds of professional looking washable tattoos with Deluxe Airbrush Tattoo Workshop Craft Kit by Small World Toys. 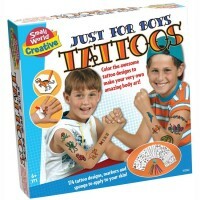 This bestselling kit comes with a professional airbrush device to create 420 cool, colorful, glittering tattoos. 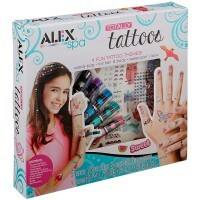 The temporary tattoo set includes a battery-operated airbrush machine with nozzle, and over 260 pre-designed tattoos to color. 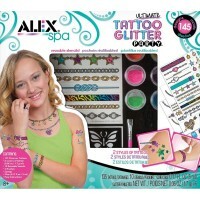 The kids tattoo kit from Educational Toys Planet comes complete with 160 tattoo stencils, 12 airbrush markers, 8 tattoo markers, 14 bottles of glitter, 1 bottle of body glue, 2 small brushes and a sponge. 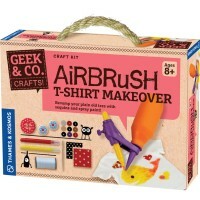 The airbrush machine measures 5.75 x 5 x 4.25 inches and requires 4 C batteries (not included). 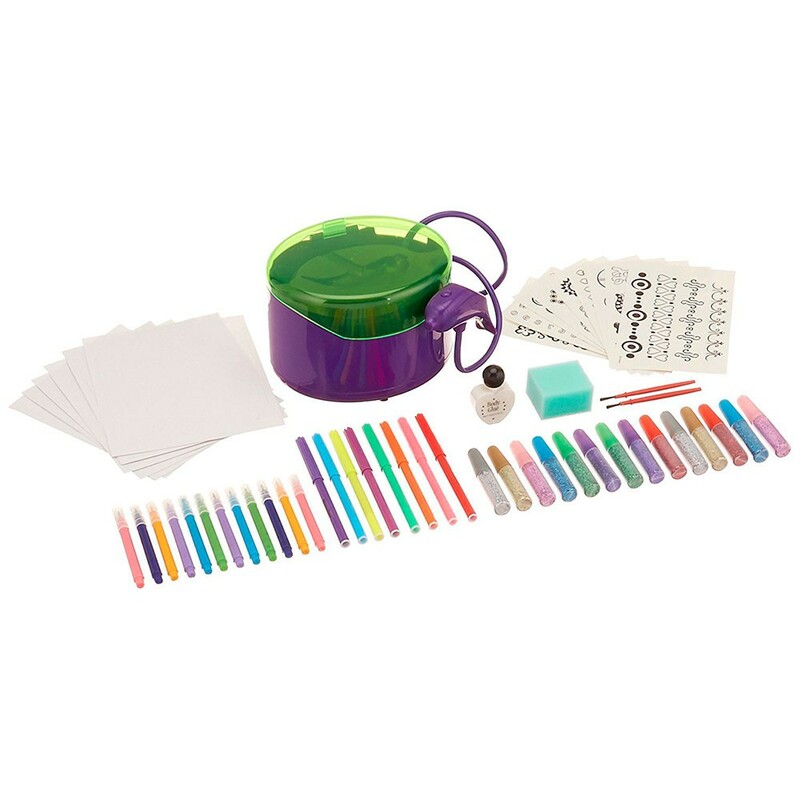 The craft kit instructions are included. 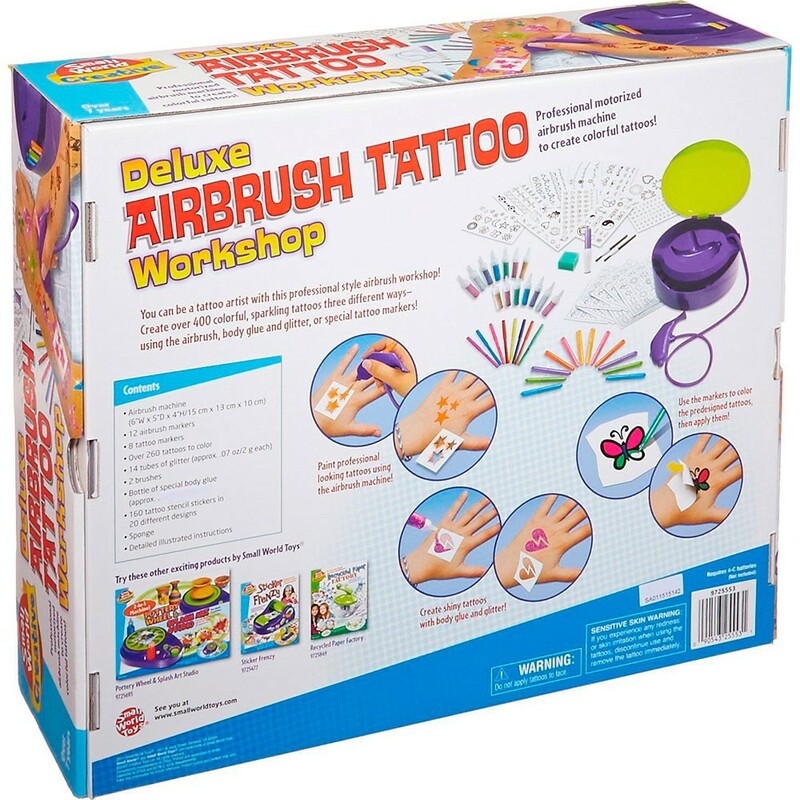 Dimensions of package 5" x 13.5" x 16"
Write your own review of Deluxe Airbrush Tattoo Workshop Craft Kit.